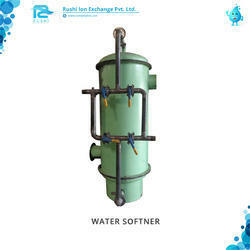 Providing you the best range of water softener and ms vessel with effective & timely delivery. Flow 0.5 M3/Hr. - 250 M3/Hr. Diameter 0.225 Mts.- 4.0 Mts. 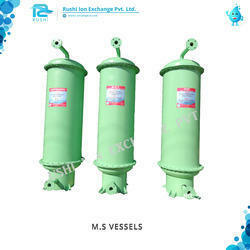 Consistent innovation, coupled with an alert understanding of customer's needs & demands, makes us the most renowned manufacturer and supplier of supreme grade MS Vessel. The offered vessels are suitable for cleaning chemicals from water in different industries. These vessels are manufactured using premium quality material and cutting-edge techniques in adherence to set industry standards. Clients can avail these vessels from us at pocket friendly prices.